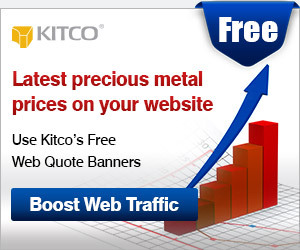 Kitco News Weekly Outlook: What Happened To Gold Prices? 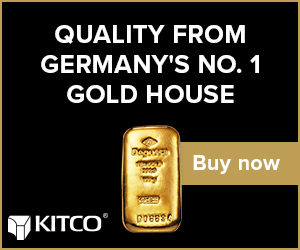 (Kitco News) - The gold market is ending its second consecutive week in negative territory and many investors are asking: What happened? Gold’s losses come as equity markets fell sharply into corrective territory, with the past week seeing the Dow Jones Industrial Average shedding more than 1,000 points in two sessions. In total, the Dow, last trading at 23,784 points is down more than 6% since last Friday and has dropped more than 10% since posting record highs just two weeks ago. However, gold, while pointing to further weekly losses, has outperformed equity markets on a relative basis. Comex April gold futures last traded at $1,316.60 an ounce, down 2.7% from the previous week. Silver has also held up on a relative basis, last trading at $16.21 an ounce, down almost 3% from the previous week. 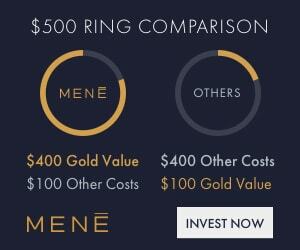 Looking ahead, while gold prices could continue to push lower in the near term, Weinberg said that it wouldn’t take much for gold to regain its safe-haven luster. He added that he expects long-term value investors to take advantage of lower prices in the near term. Jasper Lawler, head of research at London Capital Group, agreed that the correction in equities isn’t enough to spur safe-haven demand for gold. He added that a 10% correction is seen as “healthy” by many equity analysts. However, he added that the longer equities say down, the more attractive gold looks. “People need to lose more confidence in equities. 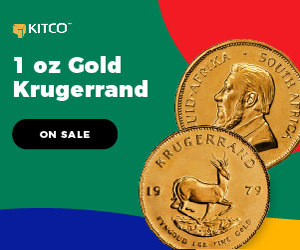 Once they see that markets are not going to turn around right way, they will look at taking more defensive positions and I would expect them to turn to gold,” he said. Lawler added that investors shouldn’t expect to see gold prices skyrocket either as there are growing expectations for global central banks to tighten monetary policy more aggressively. At the start of the year, CME 30-day Fed fund futures were only pricing in two rate hikes by the end of 2018. In the past week those expectations have risen sharply, as markets have started to price in the possibility of four interest rate hike by the end of the year. Helping to guide market expectations, Federal Reserve committee members were out in full force this past week talking up the idea of “gradual increases” in interest rates. Along with interest rates, commodity analysts say that gold investors also need to keep an eye on the U.S. Dollar Index, which has bounced 1.5% since hitting a three-year low two weeks ago. “While the U.S. dollar shows signs of bottoming out against major currencies, gold will have a tough time breaking out,” said Lawler. While a stronger U.S. dollar will weigh on gold, some analysts think that the greenback is oversold. “The near-term fundamental picture has improved for the greenback, though we expect any bounces are likely to be short-lived and offer better levels to sell,” said currency analysts at TD Securities in a recent report. Goldman Sachs analysts Thursday increased their 12-month gold-price forecast. The global investment firm sees gold prices pushing to $1,450 an ounce next year. They are bullish on gold as they see emerging-market currencies outperforming the U.S. dollar though 2018. Bill Baruch, president of Blue Line Futures, said that he sees the recent rally in the U.S. dollar as a bear-market bounce and looks for the greenback to hit major resistance in the near term, which will be positive for gold. While Baruch likes gold at current levels, he added that he would like to buy around $1,301 as the market still could see lower prices in the near term. With gold prices pushing below critical initial support levels, analysts say that the next level to watch is $1,301 an ounce. If that support breaks then prices could fall to $1,280 an ounce. 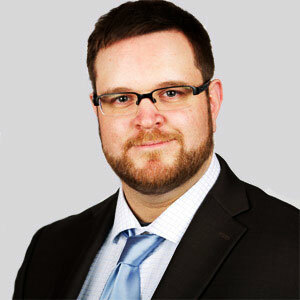 Chris Beauchamp, market analyst, at IG, said that he is looking for $1,313 to hold as support that will attract bargain hunters. 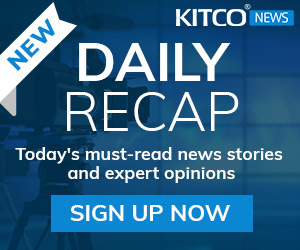 “Momentum is oversold once again, so dip buyers may want to keep gold on their radar,’ he said. Lawler said that he would not turn outright bearish on gold unless prices pushed below $1,240 an ounce. According to analysts and economists, next week is all about inflation as markets will receive the Consumer Price Index report for January. If inflation does push higher toward the Federal Reserve’s 2% target, then equity markets could have further room to fall as this would force the U.S. central bank to be more aggressive in with monetary policy. The data could be negative for gold since aggressive central bank action could push expectations for real interest rates to move higher, increasing the yellow metal’s opportunity costs. Another key report will be retail sales. The U.S. economy runs on consumerism so any rise in spending could be a balm for jittery markets, according to some economists. Off Broadway, markets will receive some regional manufacturing data for February and housing starts and building permit numbers for January.